Every so often, we have a client who comes to us and wants a sign that is innovative. They are not looking for the typical, run-of-the-mill sign. Instead they want something that will stand out, make a lasting impression, and display the creativity and individuality of their business. And when it comes to the Landmark Signs design team, we can certainly deliver on a design that is as creative, elegant, or unique as our clients want them to be. Some of the most exciting jobs are the ones where we get to really explore and branch out with our sign design. It is the chance to turn sign into art! As award-winning sign design team, our designs are meant to impress. 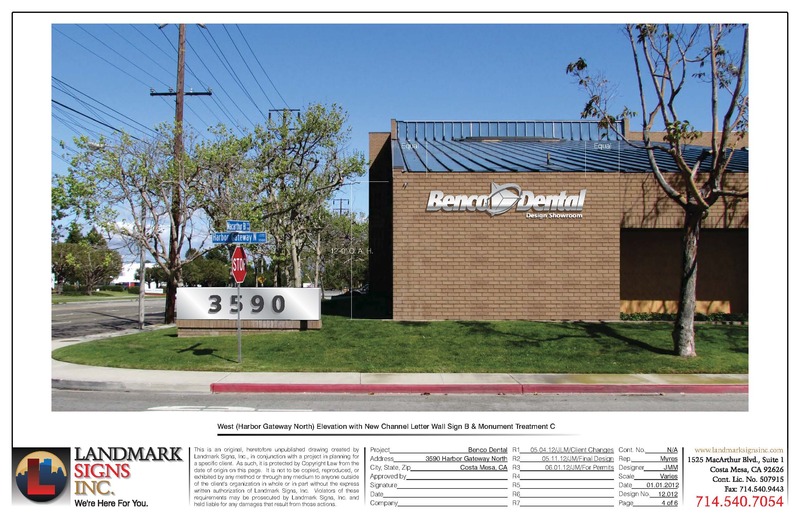 Furthermore, they are essentially a contract between the client and Landmark Signs. Once a client agrees to concept of the design, we are guaranteeing that what they see on paper is the same sign they will see on the front of their building. If our customers are not satisfied, neither are we. And failing to hold up our end of the bargain is not acceptable. An oversight on our part, in any area of the signage process, from sign designing to sign surveying, and sign manufacturing to sign installation, could lead to a sign design that was beautiful in the planning stages, but not so in execution. Which is why we make sure that every single part of the sign process is carefully seen to; no stone is left unturned. Last week we showed you this design. And here is the sign. 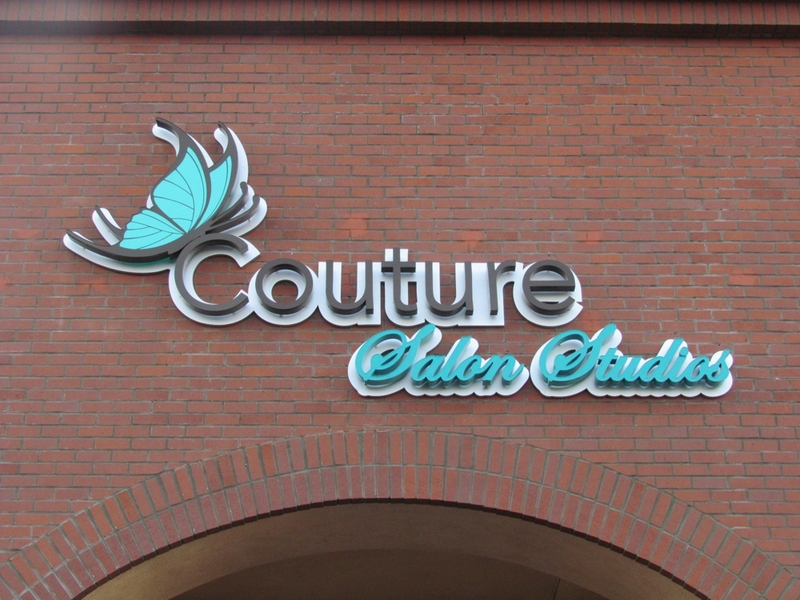 Did we execute our end of the bargain with this Couture Salon Channel Letter Sign? Let us know! Check back next week to see if this Monument Sign and Channel Letter Sign will match its design. To see your sign design come to life, contact Landmark Signs.